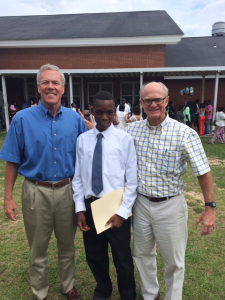 NEST serves the needs of at-risk youth and families in Mobile County through partnerships with agencies, organizations and individuals. Our goal is to nurture children, equip parents, strengthen families and transform communities. We pair teams of court approved volunteers with at-risk families who are in need of support, mentoring and skill development. What is NEST of Mobile? NEST is a local mentoring program that matches teams of community volunteers with at-risk youth and families. A NEST team consists of two or more Court approved volunteers. 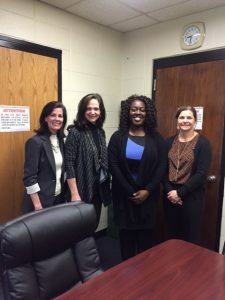 NEST works with the Mobile County Juvenile Court, the Department of Human Resources and partnering agencies to match teams with youth referrals. The team and youth and family work together during the Court probationary period or a designated time period of 6 months or more. The hope is that the team and family will develop a lifetime relationship. How Does a NEST Team Help? Each team member has the ability to bring personal skills and resources that can change lives. The team will meet with NEST staff once they have been assigned to their youth for volunteer training and the case overview. NEST and the family work together to set goals for the mentoring partnership. Teams help youth achieve academic, employment and personal goals. Teams also help families with employment, budgeting, meal planning, housing and more. Our volunteers guide youth and families in becoming independent and productive members of our community. Begin by contacting the NEST Office for your volunteer application packet. All volunteers must pass a Criminal Background Investigation, Child Abuse/Neglect Central Registry Clearance and reference check. Once your entire team’s application has been approved, you will be contacted by NEST for your youth assignment. You will then meet with NEST for your volunteer training session and case overview. Then, you will meet with your family to develop a plan to accomplish goals and achieve success. 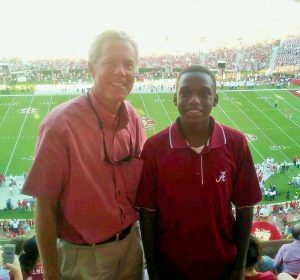 Judge Edmond Naman and Dr. Norman McCrummen met in 2012 when Dr. McCrummen spoke at a forum and addressed the challenges facing children and families living in high-crime neighborhoods and poverty in Mobile. 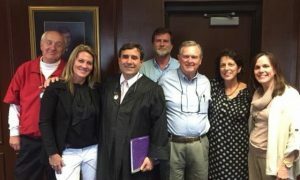 Judge Naman had long been a positive voice for at-risk youth in his courtroom and a leading advocate in finding new ways to meet the needs of the great number of single-parent families in our area. 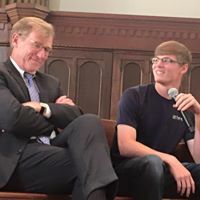 Led by their common faith, Dr. McCrummen and Judge Naman brought together a community of agencies, churches, businessmen, teachers, counselors, civil servants and parents. 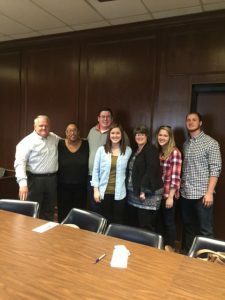 Partnering with The Children’s Policy Council, this team identified the many needs of families in the Mobile area with the top four being: education, communication, transportation and mentoring. NEST now pairs with teams of court approved volunteers with at-risk families in need of support, mentoring, and skill development. NEST families usually have one or more children on Court probation. NEST Teams are assigned to work with families during the Court probationary period lasting up to six months. However, NEST hopes that Teams and families will develop a lifetime relationship. In early Christianity, the pelican was thought to symbolize the Passion of Jesus and represented a self-sacrificing parent caring for her young. The use of a pelican feeding her young in our logo reflects God’s love for each one of us and His direction for all of us. We desire to reflect Christ in all we do.